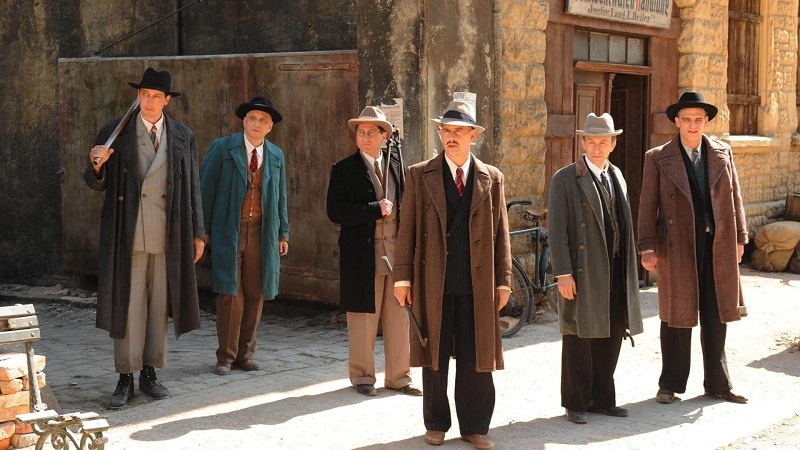 This film tells us about the life of Jews in Germany in 1946, after the victory over fascism. Here you can see an ordinary peaceful life in post-war Germany. Finally, the regime is overthrown, and people can live freely. But, unfortunately, not everyone could survive the cruelty of tyrants and see the victory of their country. Germany was almost completely destroyed, so the survivors began to rebuild their cities from the very beginning. Despite the hunger strike and poverty, hopelessness forces people to work tirelessly. 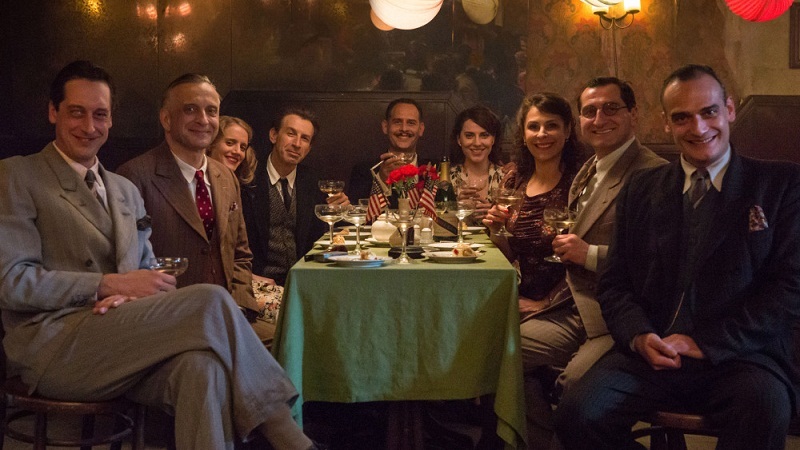 David Berman and his six friends, the main characters of the movie, escaped the horrors of the Nazi regime and now dream of immigrating to America. But the dream of the hero is hindered by the US occupation authorities in the face of the lady Sarah Simon, who is very interested in why our hero was in a concentration camp, not in the usual one, but in the barracks for privileged prisoners. 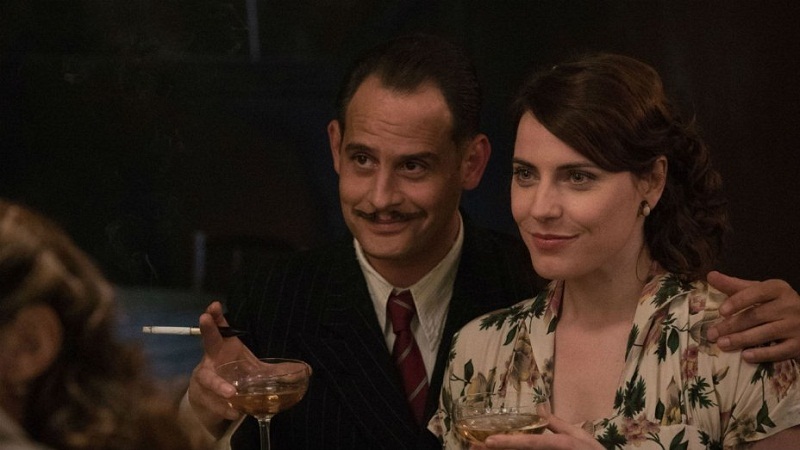 Sarah Simon starts suspecting David in close connection with the Nazis. Hard-working girl, who loves her work, begins to chase the guy. But even such a cold and stale lady cannot resist her heart and rising feelings. There are plenty of interesting dialogues. In the dialogues, you can find a lot of humor, and at the same time, grief and tragedy. The film is not monotonous; viewers are given a lot of “food for the brain” throughout the film. The subject and plot of the film are quite complicated. In fact, this film is a drama about a man who lost everything and who could survive in a concentration camp due to his ability to tell funny jokes and who is trying to find himself in a new world. In my opinion, the film is unique in its structure. This movie is really worth watching it to go deep into the tragedy, to reconsider our history, and just to look at it from the other point of view.